The District's U Street neighborhood is both colorful and historic – the part of the city that never sleeps, full of eclectic food options, late-night dancing and rich culture. U Street was once truly the heart of black culture in Washington, DC, attracting locals and visitors for an unparalleled music and nightlife scene. The neighborhood has experienced a comeback in recent years, and is full of diverse attractions and dining options. Check out all there is to do in this happening 'hood. Spend the day with chef Tim Ma of Kyirisan as he drops by a few of his favorite spots on the U Street Corridor. Stoke your appetite and tune in to this Chefs Dish DC foodie adventure as Ma samples global street food at Compass Rose and sips creative cocktails at Columbia Room. 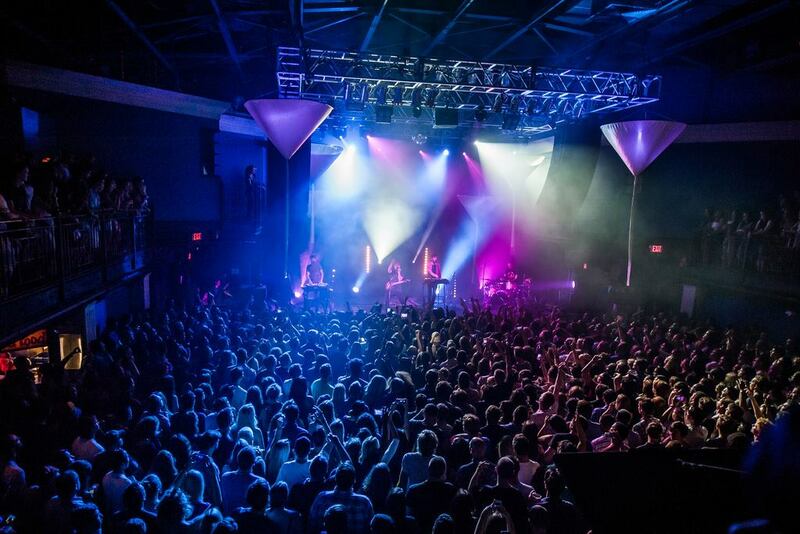 From the underground U Street Music Hall to the spacious 9:30 Club, live music abounds on U Street. Catch jazz or eat brunch gospel-style at the historic Howard Theatre, get down to funky ska bands, European-imported DJs, EDM sets, and so much more. Though fantastic and affordable restaurants are sprinkled throughout U Street, we recommend waking up early and perusing the 14&U Farmers’ Market spread out at the northwest corner of 14th and U streets (one of the many great farmers' markets in DC). Growers from nearby truck in vibrant vegetables, dairy, meat and other edibles. It’s open Saturday mornings, 9 a.m.-1 p.m., from May to November, and is great way to get to know the locals (both people and produce). 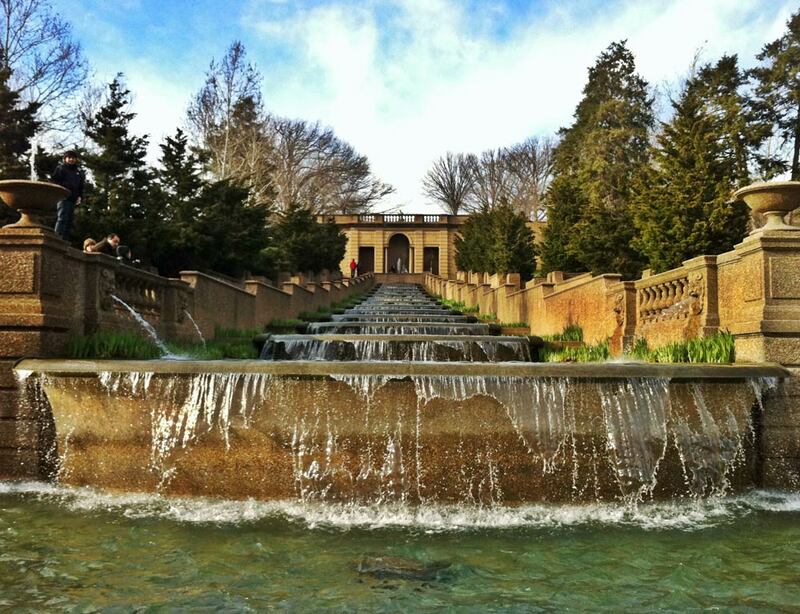 Situated a couple blocks north of U Street, Meridian Hill Park is the largest public park in this part of town. The design inspiration comes from an Italian garden, complete with a thirteen basin cascading fountain that's longer than any you'll find on the continent. A unique, community-led drum circle forms every Sunday afternoon and evening, while groups play soccer, have picnics and simply enjoy the sun. Locals often refer to it by its alias: Malcolm X Park. 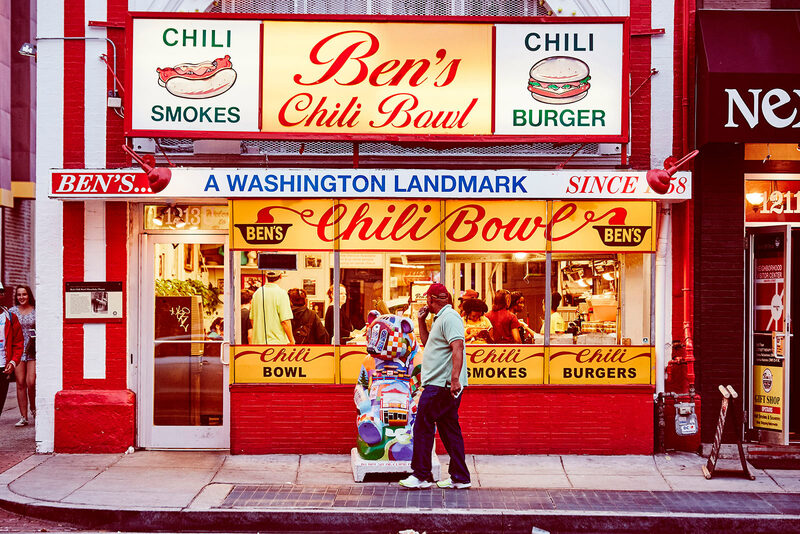 Speaking of history: nothing says both “culture” and “delicious” like a stop at Ben’s Chili Bowl. It’s been continuously serving the community since opening in 1958. Locals, presidents and celebrities have flocked inside for service at the original stools, booths and Formica counter for its signature dish: the traditional DC half-smoke smothered in chili. It’s open early and very late, and now offers multiple locations, including one at Reagan National Airport. Among its many nicknames, U Street was also once known as “Little Ethiopia” for a stretch of restaurants that dotted the street. Many Ethiopian eateries have since moved to Silver Spring, Md. and Alexandria, Va., but there are still a couple time-honored eateries that pay tribute to the Horn of Africa region, like Dukem Restaurant. Go there for intriguing spices, bright colors and a spongy bread called injera, all of which you eat with your hands. If you’ve already hit the national retailers or are prefer to hunt around, wander through the many vintage and secondhand shops lining U Street. 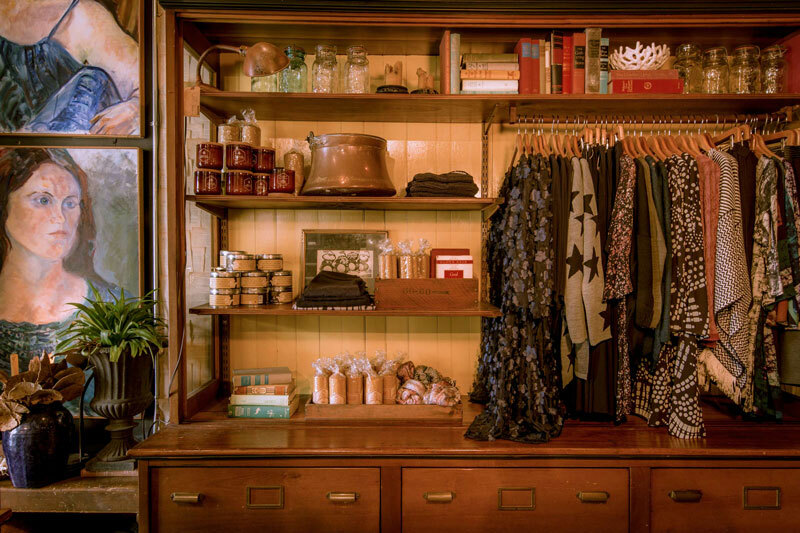 You’ll find everything from dresses to dressers to tees and end tables at funky, offbeat establishments like Junction and GoodWood. This important memorial is hidden in plain sight, right at the U Street Metro stop exit. 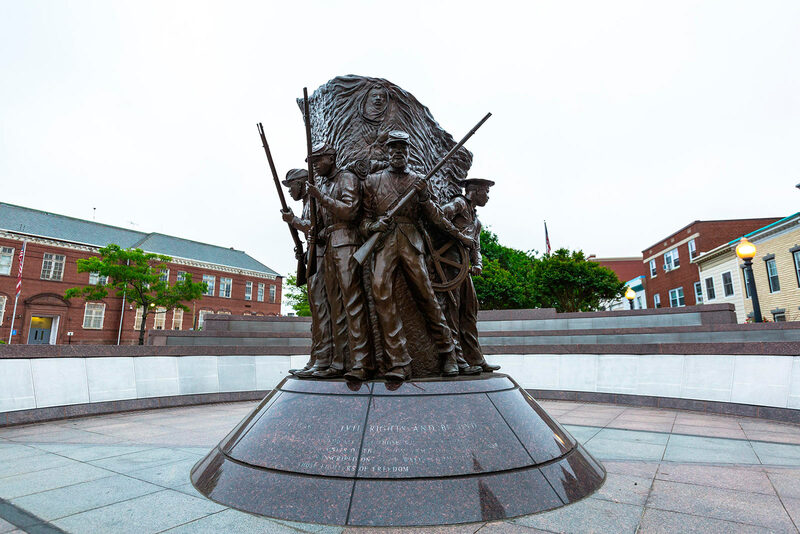 The bronze statue and related museum just across the street, where kids can try on Civil War attire and commemorate the more than 200,000 African American soldiers who fought for the Union during the Civil War. The memorial was placed here in honor of this neighborhood being a heart of African American culture in the city. Sure it may have more museums than any city in the country, but you can also find art on the streets in DC. From this Phillips Collection-commissioned work on 905 U Street NW to the side of Ben’s Chili Bowl, you’ll find street murals throughout the city. After a long day of taking in this one-of-a-kind street, do as DC’s 9-to-5 set does and unwind at a happy hour. The many restaurants and bars here offer fantastic deals starting at 5 p.m. on food and drinks. Take a minute to relax.